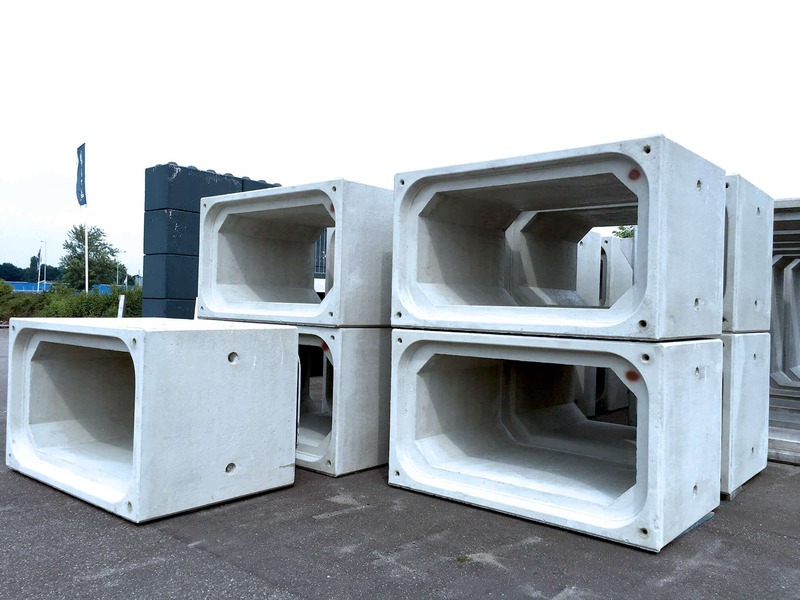 Waco produces precast concrete (box) culverts. The culvert is a structure / tunnel that allows water to flow under a road, railroad, trail, or similar obstruction from one to the other side. 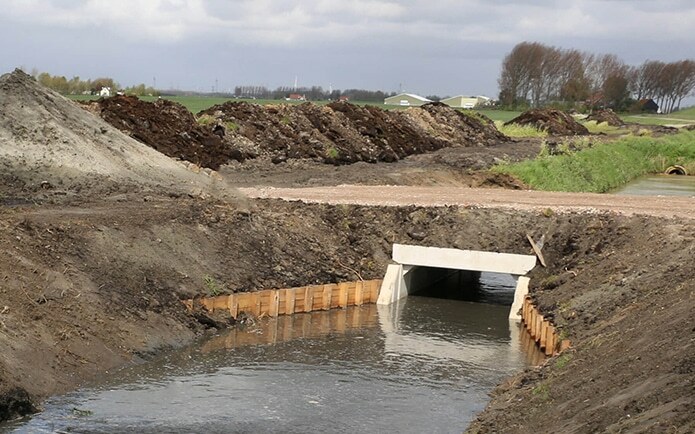 The culvert can also be used as a longer artificially buried watercourse. 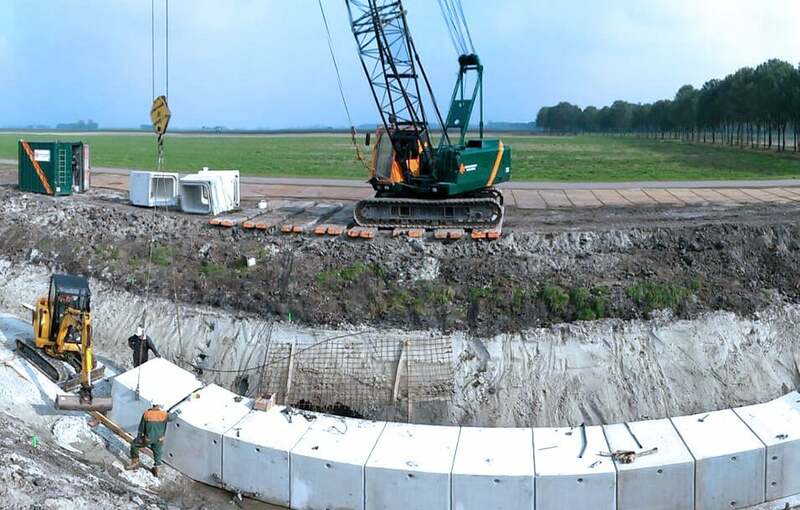 Waco’s culverts are produced using the Dry-cast as well as the Wet-cast method. This means the concrete is either damp (near to dry) or wet and fluid when poured in the mold. Both methods have unique benefits, like time to delivery, strength and efficiency. 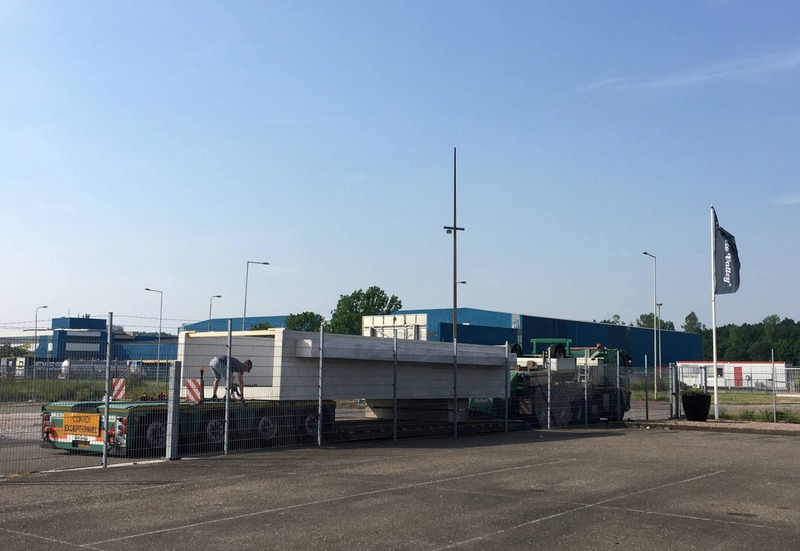 Besides these characteristics, we also take requirements regarding the superimposed load and matching reinforcement into account. Concrete is known to withstand exposure to all kinds of conditions and, unlike other materials, is not easily affected by water or corrosion. 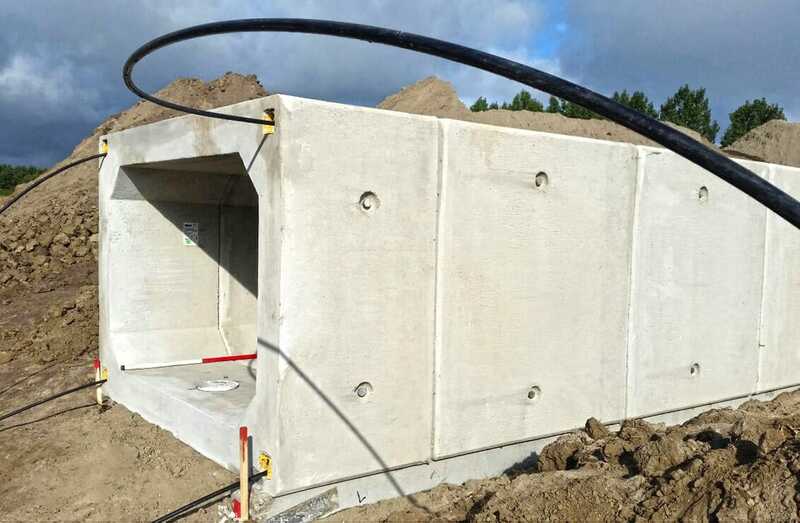 Our culverts are of high-quality, low maintenance and extremely durable. 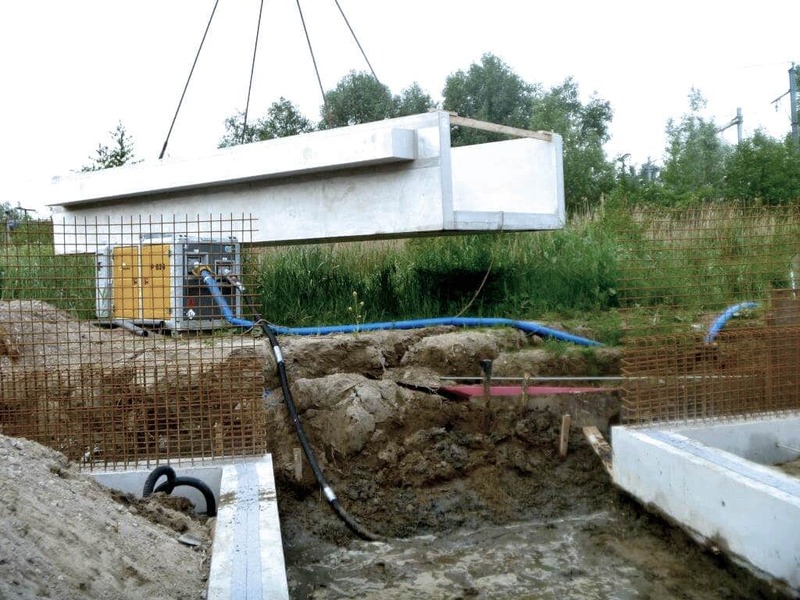 Working with concrete means your design and constructive requirements are easily met. 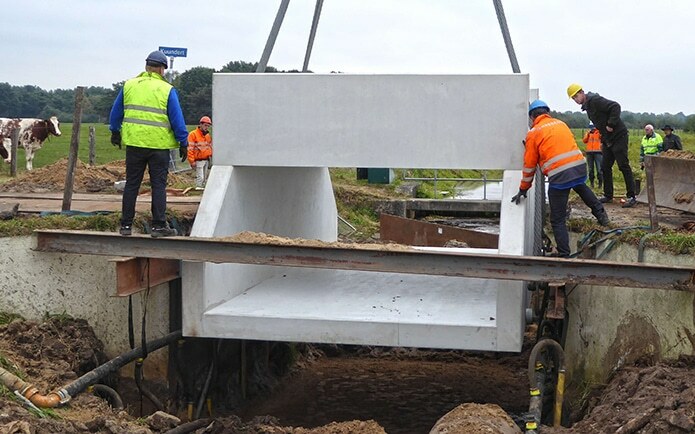 Concrete is extremely versatile and enables a great range of culvert shapes, sizes and capacity. 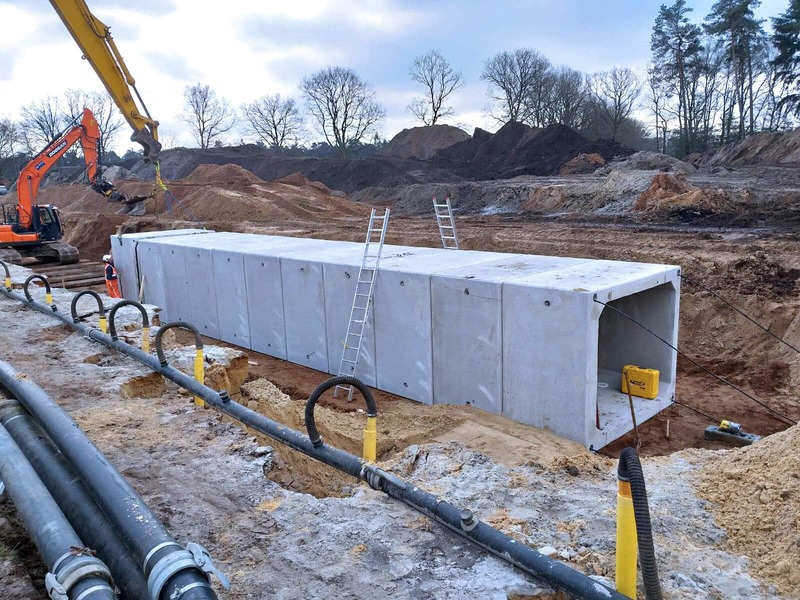 We use pre-casting, high-end engineering and offsite manufacturing to produce culverts in the fastest way possible. 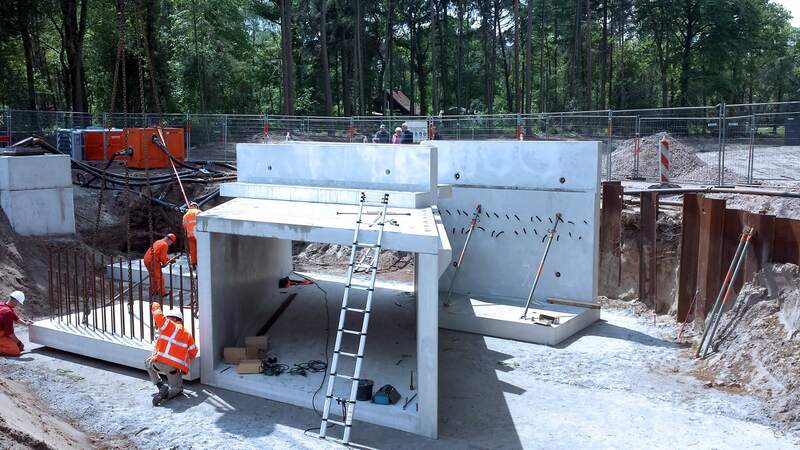 This means we are able to improve efficiency and reduce the time of work required onsite. Concrete is known to have a typical design life of over 100 years. 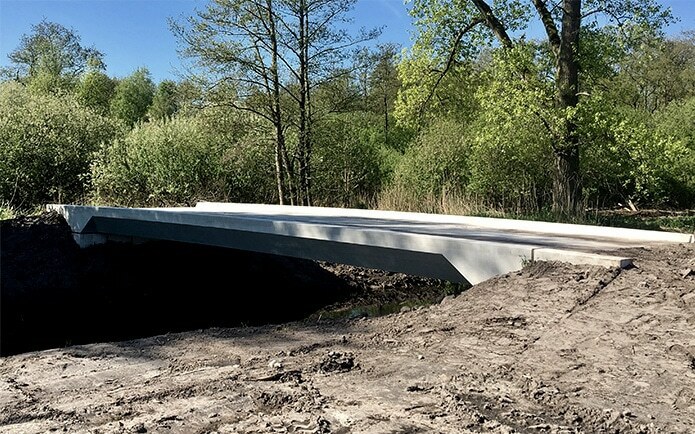 This makes our precast concrete box culverts a sustainable solution; quick to produce, but long to last and with very little maintenance required.